Whilst we wait for the Brexit wheels to start rolling, there is much speculation in many areas of the economy about what will actually happen. One of those areas is farming. It is a profession that is sadly often overlooked, and one that has direct benefit from being in the EU in terms of the Common Agricultural Policy - CAP. The CAP was first introduced in 1966: 50 years ago! Its main aim is to help European farmers fulfil the need to feed over 500 million Europeans by providing a stable, sustainably produced supply of safe food at affordable prices for consumers. At the same time, it endeavours to guarantee a good standard of living for the estimated 22 million farmers and agricultural workers in Europe. It does this by various means including subsidies to farmers to help stabilise their incomes. The question is, will Brexit mean an end to the CAP subsidies and what are the alternatives? The government has promised to maintain CAP subsidies after Britain leaves the EU until 2020, when a domestic system will be put in place. Interestingly, a recent survey by the National Federation of Young Farmers Clubs (NFYFC) found that more than half of young farmers would be prepared to see subsidies phased out post-Brexit, particularly if they were offered business loans or grants to help them establish their businesses. In fact, subsidies are viewed by some as a potential barrier to new entrants to the profession as they favour existing landowners and farmers and may therefore encourage older generations to hold on to farms and farmland rather than passing it to younger farmers. Indeed the distribution of CAP subsidies is often controversial. In 2015, Greenpeace conducted an investigation of the top 100 recipients of CAP subsidies in the UK and found that at least one in five were farm businesses owned or controlled by members of aristocratic families, including the Queen, the Duke of Westminster, the Duke of Northumberland and the Earl of Plymouth. This is despite EU rules that allow member states to apply a ceiling to reduce CAP subsidies to large landowners. Britain has done this in Northern Ireland, Scotland and Wales - where funds are allocated to rural development projects - but not in England. So it remains to be seen what form the “domestic system” mentioned above will take. In the NFYFC survey, the most popular choice (35%) for young farmers was to reduce or remove area-based basic subsidy payments and instead support farmers through grants or business loans for farm business investments. 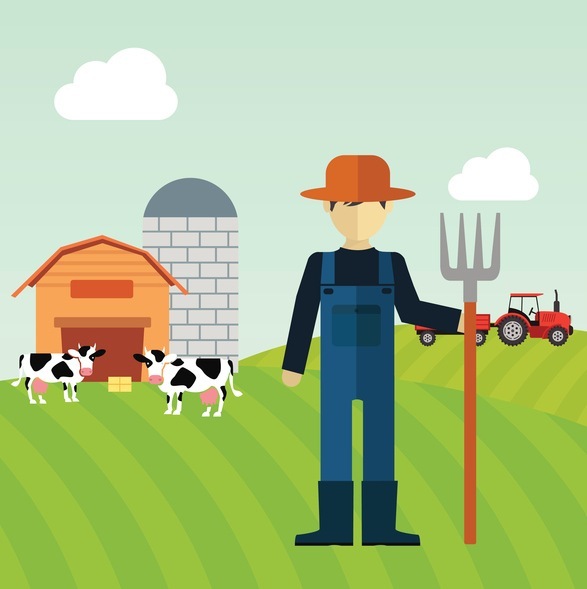 At Fair Business Loans we are proud to support a broad range of different business sectors and will be watching developments in the farming sector with interest as Brexit gradually unfolds. There will be a great deal of change and of reassembling various aspects of the economy and the financial sector may need to re-evaluate its lending policies in order to provide better support for any sector that is losing sources of funding. As a reputable and conscientious lender, Fair Business Loans will continue to support as many small businesses as we can during these changing times in order to play our part in underpinning the economic well being of our nation.